It is important to maintain regular 6 monthly appointments to keep your gums and teeth healthy. We at Tooth Heaven prefer to “nip it in the bud” and identify any issues while they are small before they turn into more complex and costly problems. Let us help you keep your teeth for years to come! We only use white fillings here at Tooth Heaven. We use the strongest and latest white fillings for any repairs that are small to medium sized. Repairs that are larger might require ceramics or crowns to ensure the longevity and strength of the tooth. A crown or cap is a full coverage restoration that completely covers a tooth and offers maximum protection and strength to a severely compromised tooth. These may include a tooth that has had root canal therapy, a heavily broken tooth or a heavily restored tooth. A crown is made from different strong and hard materials that can also provide amazing colour- likeness to the original tooth. They’re not as scary as they sound. Advances in technology and equipment have made root canals easier, quicker and often nearly a pain – free procedure. Root canal therapy might be the best alternative option to getting a tooth pulled out. The whole tooth will be cleaned and filled thoroughly, after which, a crown is then highly recommended to help create a better long-term success of the tooth. Dental implants are one of the best options to replace a missing tooth. Many patients have told us that they can’t tell the difference between their original teeth and dental implants! After the removal of a tooth, looks, eating and sometimes speech might be difficult. 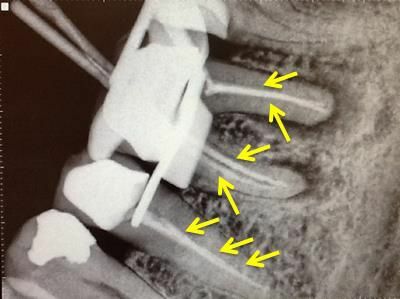 An implant might occur over the course of 3-6 months but sometimes if the patient has met the ideal criterias, it might even take as little as 1-3 days. Placing implants are virtually painless these days and doesn’t even require a day surgery. Some even say that having an implant put in is more comfortable than having a tooth pulled out! Dentures also offer an alternative to replacing missing teeth. They come in several forms, metal or acrylic ( plastic ). They both have their pros and cons to which our dentist in Tooth Heaven will be more than happy to discuss with you. One great benefit of a denture is that it replaces multiple teeth at the same time and might be a great option for people with several missing teeth.